On the night of Saturday, June 18th, 2016 the Selden Fire Department operated on the scene of a motor vehicle accident with overturn and confirmed entrapment. The incident was located in front of 43 College Road just south of Elmwood Avenue. 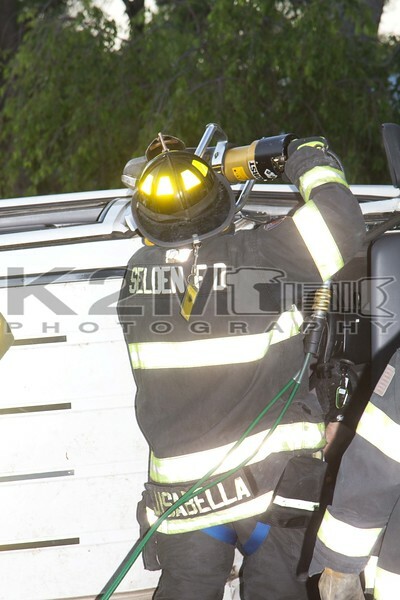 Selden firefighters put the tool to work to extricate the driver of an overturned sport utility vehicle. Within minutes the driver was cut free and being tended to by EMS personnel. No one else was injured in the single vehicle accident. All fire department units were under the command of Selden Chief of Department Michael Matteo Jr. [5-25-30].